Using the latest Virtual Reality technology, Roebuck Entertainment will be telling the story of Christmas like you have never seen it before. Donning VR headsets your party will travel together back in time to see the Prince of Peace come into the world. Enjoy delicious drinking chocolates and the good company of friends and family at the Chocolate Bar. We serve authentic and historic drinking chocolates elixirs produced by Kakawa Chocolate House in Santa Fe. Santa's Favorite is the chili-chocolate elixir. It is positively naughty. Polar Bears love to show off! Our Polar Bears will come out each hour to dance to the delight and glee of the onlookers. After the show get a picture with the Polar Bears. 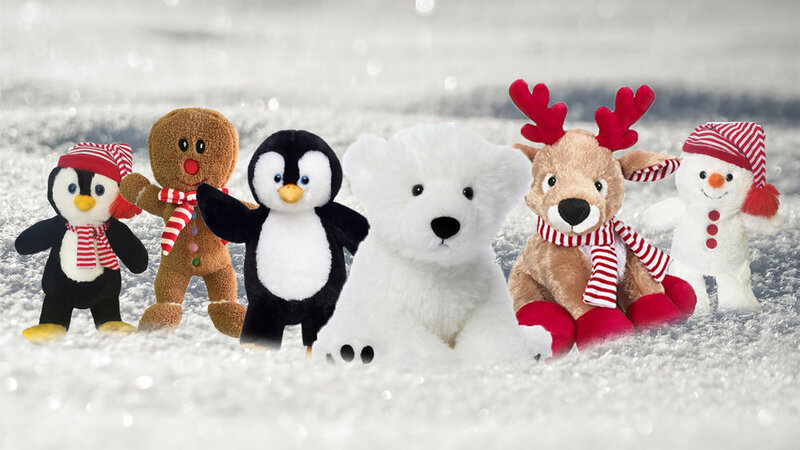 Kids can come in and bring a Polar Bear or one of 10 other plush animals to life. An interactive experience where the child gets to take a new friend home.